When I was 17, a routine visit to the doctor changed my life. My doctor told me I had retinitis pigmentosa, an incurable eye disease that would render me completely blind by the time I reached middle age. Every year thereafter, I felt my disease closing in. First I couldn’t drive, then I couldn’t read; I knew it was only a matter of time before I was engulfed in perpetual darkness. By four years ago, my sight had deteriorated so much that I decided to enter a school for the blind to learn how to live with my disability—how to cook, how to read Braille, how to make the most of my other senses. During my stay I realized that many of the other students kept themselves isolated, hesitating even to leave the safety of the dorms. That really scared me. I desperately wanted to keep contact with the world. But I was shocked at how few options I had. I didn’t want to struggle with a white cane, and I couldn’t bear the idea of having a guide dog because of the grief I had experienced when my beloved pet dog died 10 years before. I knew I’d feel the loss of an animal I had relied on for my independence even more acutely. Then I heard about an experimental new program conducted by Janet and Don Burleson. 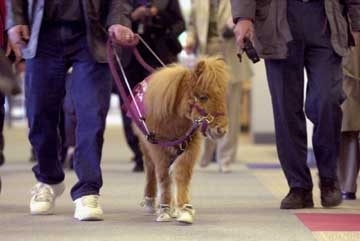 The Burlesons were training miniature horses as guides and hoping to match one of them with a blind person. When I learned that these horses live much longer than dogs (30 to 40 years), I was intrigued. 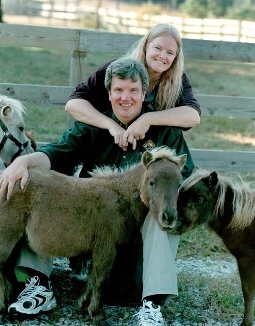 The Burlesons scheduled me to work with a young mare named Cuddles. I was about to become the world’s first user of a guide horse. 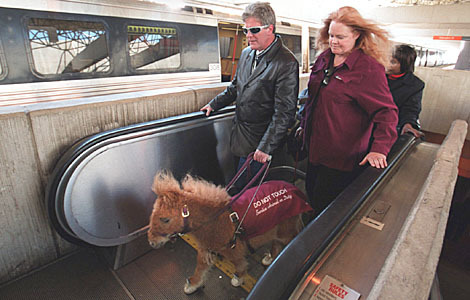 I knew that there would be skeptics—people who didn’t believe horses had the right temperament to be service animals. After all, in the 1920s, when Dorothy Eustis began training German shepherds to lead the blind, many people scoffed at the idea. But I knew that getting my independence back would outweigh any criticism. I flew to North Carolina to meet Cuddles. Our first outing was to a pet store. Despite the noise from the other animals, Cuddles stayed calm and led me up and down the aisles. I didn’t bump into a thing. As we left the store I cried tears of joy; I could now go anywhere with ease. Two days later, I took my first flight with Cuddles. I was nervous because I had heard a recent news story about a service pig that had misbehaved on a commercial airliner. 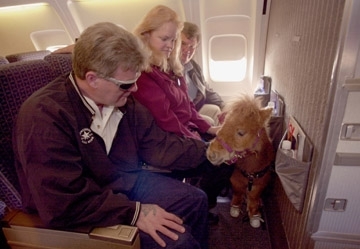 There were newspaper and television reporters on the plane with us, all clutching their notebooks and cameras and secretly hoping that Cuddles would cause a disturbance. They must have been disappointed when she stood next to me and slept for almost the whole trip. Having a guide horse has changed every aspect of my life. If my wife, Anne, takes me to the mall and we split up to do our shopping, Cuddles can lead me to the car when it’s time to go. Cuddles and I even go out alone for long walks in the woods. She can see in almost total darkness and responds to more than 25 voice commands. 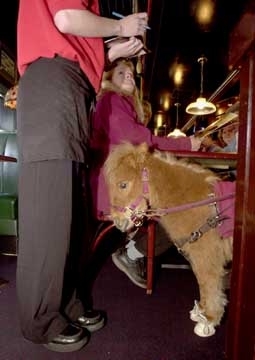 She is house trained and will tap on the door with her hoof when she needs to go outside. Fortunately for me, Americans are extremely tolerant of new ideas, and the negative reactions I feared I’d get from strangers have been rare. Most people are curious and ask me where I got Cuddles, how she was trained, what she eats. I will never forget the time that Cuddles and I went to New York City together. We successfully navigated even the most dangerous intersections, and I felt at home because most New Yorkers didn’t find a mini horse in sneakers (which she wears for traction) to be the slightest bit unusual. Even on the subway at rush hour, Cuddles and I packed into the train right alongside the weary commuters. From the Carnegie Deli to the top of the Empire State Building, I felt free for the first time in more than 20 years. I have always been a rebel, and as an ex-biker I have many tattoos. 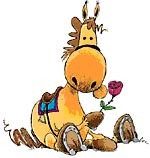 I suppose it is only fitting that I was given a horse named Cuddles. I had a tattoo of her placed on the back of my hand. I may not be as tough or macho as I used to be, but with Cuddles I have as much self-confidence as I ever did as a sighted person. I have never regretted taking a risk and pioneering a new concept. Today I live a full life. 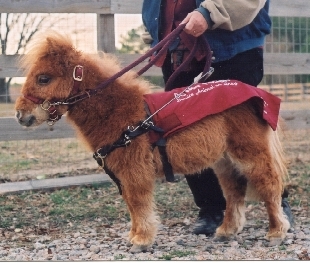 Owning such a unique service animal gives me independence, but it also gives me a reason to talk to people, a way to connect with the world. Every time I hear the gasps of amazement from an onlooker who has just realized that Cuddles is not a guide dog, I smile. Shaw runs a bait-and-tackle shop in Ellsworth, Maine. I hope your readers took a moment to enjoy Dan Shaw’s touching and informative article about his guide horse, Cuddles (“Yes, That’s Right, It’s a Seeing-Eye Horse,” My Turn, Nov. 11). I am currently training two therapy dogs and have worked with animals for years. I can fully appreciate the physical, mental and emotional support that animals offer to challenged members of our society by helping them to lead independent lives. Many different types of animals can serve as therapy, guide, search-and-rescue and detection agents—not to mention that there are millions of animals who have no specific chore other than to be wonderful pets and make their owners happier people. I encourage everyone to accept these working teams as one’s state law dictates; you will be glad you did. 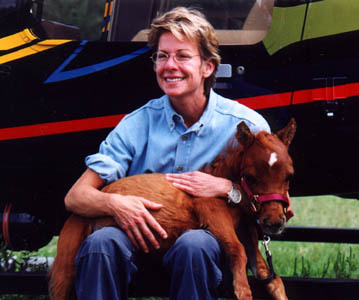 The experiences I have had with such animal and human teams have greatly enriched my life. 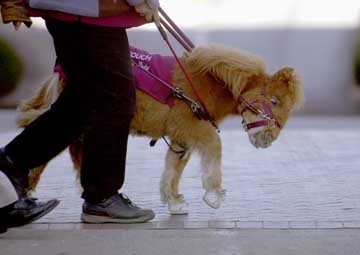 I have just finished reading Dan Shaw’s My Turn article about his seeing-eye horse. After having recently lost a family pet to old age, I understand his reluctance to obtain a guide dog after the loss of his beloved pet dog. 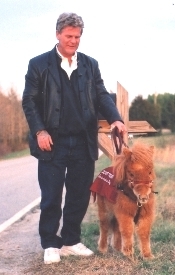 How wonderful that Janet and Don Burleson have initiated this valuable experimental program teaming miniature horses with blind people! 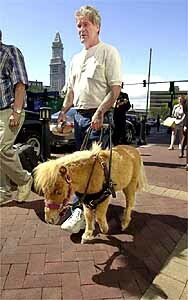 The image of Cuddles, wearing her little sneakers, guiding Shaw around New York City, brought a smile to my face. I hope the use of guide horses will spread so that others will experience the independence that Shaw is currently enjoying.